Border Dental Clinic was designed by Dr. Jose Saturno to offer professional service and personal attention to our patients. We use only the most advanced technology, equipment, and material. Our professional staff goes through an ongoing process of staying up to date on all of the latest developments in the area of dental health by attending seminars and conferences on both sides of the USA/Mexico border. Our staff is here to provide you with the proper solutions to all of your dental needs in the areas of implants, orthodontics, and other related fields. About Border Dental - Our Team! Dr. Jose Saturno is affiliated with the ADA (American Dental Association). His studies have been accredited by the ECE Inc. (Educational Credential Evaluators) in Milwaukee Wisconsin. 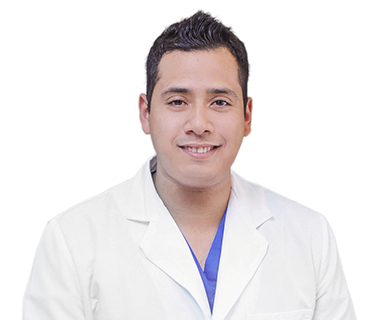 He is also an active member of the MDA (Mexican Dental Association), the ICOI (International Congress of Oral Implantologists). 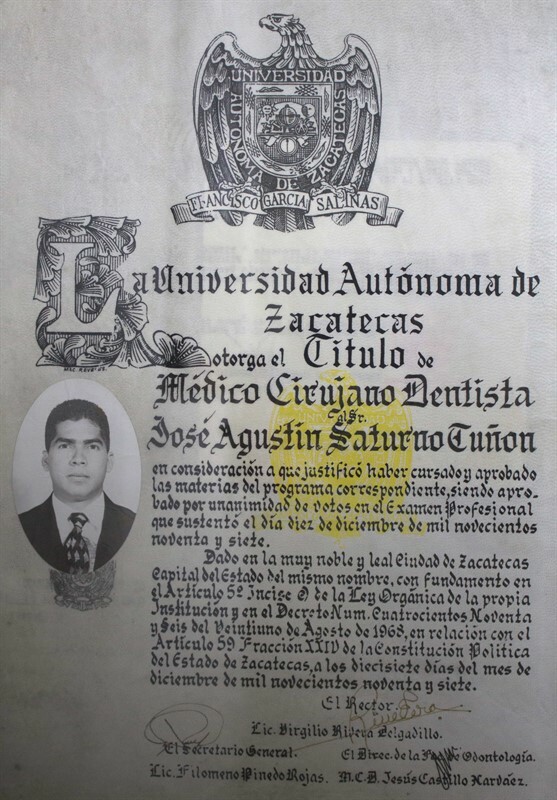 Dr. Saturno attended the Autonomous University of Zacatecas, Zacatecas, Mexico from 1991-1997 where he graduated with the title of Dental Surgeon. Finishing his studies Dr. Saturno returned to his native land, Panama, where he spent two years in the country’s social services division on the North Caribbean Coast prior to obtaining his license as a dentist. That was followed by spending a year in private practice there in Panama. Following that Dr. Saturno moved to Arizona to work as a volunteer in a Rural Health program at the U of A (University of Arizona) Mobil Clinic. Dr. Saturno continues his education in the latest and most modern dental technology by constantly attending seminars and enrolling in dental courses in the United States, Mexico and Europe. His credentials are the same as those issued to dentists in United States, and Europe (and of course, Mexico). 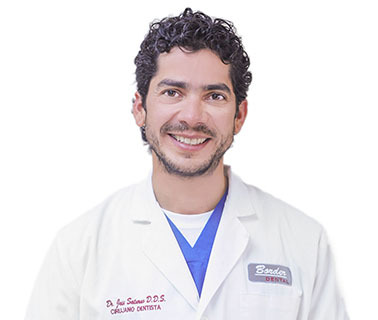 He is also an active member of the American Dental Association, the Mexican Dental Association, and the College of Dental Surgeons in Nogales, Sonora, Mexico, and the ICOI (International Congress of Oral Implantologists). His student credits were accredited by the ECE (Educational Credential Evaluators Inc.) in Milwaukee, Wisconsin, and the school of Dentistry in Zacatecas, Mexico. Today he proudly continues working at the Border Dental Clinic in Nogales, Sonora, Mexico, a 5 minute walk from the DeConcini Border Crossing. 2012 - 2013 The Congress of Implantology ( ICOI ) where he specialized in implant placement and rehabilitation. 2015 The annual meetings of the FESIDESON Certification Board in Mexico. 2015 Ongoing courses in medical emergencies, first aid and defibrillator use. Dr. Jose Saturno is quite international. He is Panamanian with some Italian heritage mixed in. He was educated and trained in Mexico and the United States. He currently lives in Nogales, Arizona, and each day crosses the border into Nogales, Sonora, Mexico to work in his private practice at his Border Dental Clinic. Dr. Renteria is part of the team of dentists working at Border Dental Clinic. 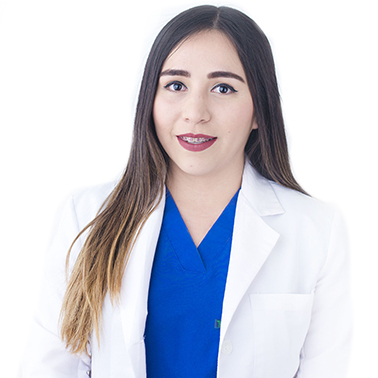 She is a graduate of the Autonomous University of Sinaloa, and has extensive experience in cosmetic dentistry that includes four years of private practice in the city of Obregon in the Mexican state of Sonora. From 2000 to 2004 she worked as a volunteer specializing in maxillofacial surgeries in the same city. In 2005 she joined the staff at the Border Dental Clinic here in Nogales. Her ongoing education continues by attending classes and seminars on both sides of the border. Continuing education is an opportunity provided by the clinic for all of the staff. Dr. Levya is part of the team of doctors working at the Border Dental Clinic. He is a graduate of the Pagan Institute of Contemporary Orthodontics. He specialized in the study of Multidisciplinary Orthodontics. 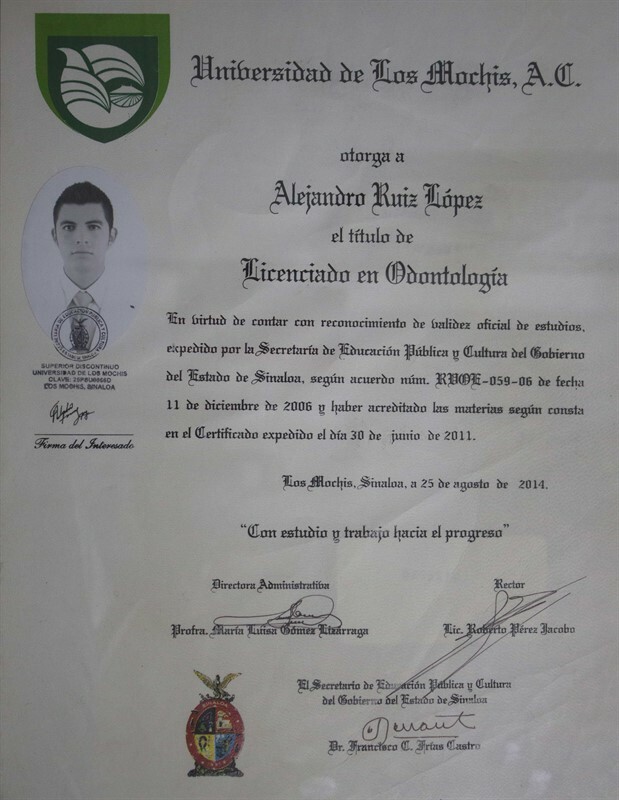 He also spent 2 years in the city of Saltillo, Coahuila attended a hands-on course in Orthodontic Biomechanics. 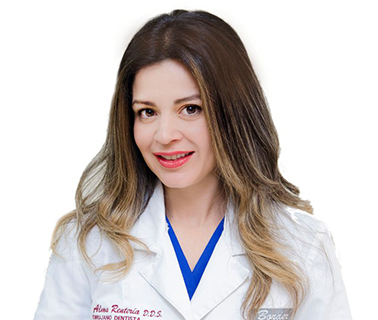 Dr. Ruiz graduated from the University of Los Mochis in Sinaloa in 2011. He practiced one year of social service in the family Medical Clinic, part of the Social Services medical network in Sinaloa. He spent his free time attending conferences and seminars to keep him current on the latest developments in his field of practice, including a hands on course in theoretical and practical whitening. 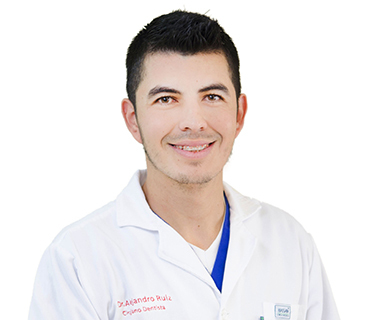 Dr. Soto is the newest addition to our Border Dental Clinic. 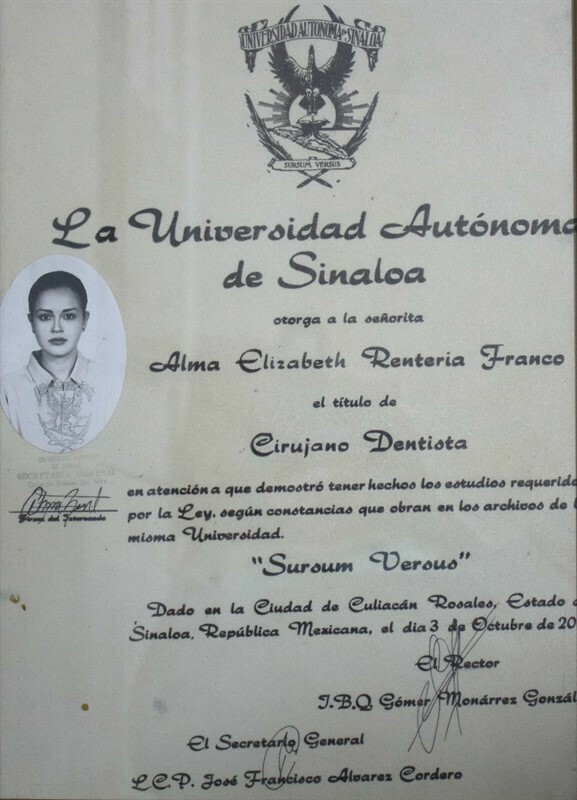 Her studies include being part of the faculty of the Autonomus University of Sinaloa in the city of Culiacan where she specialized in General Dentistry. 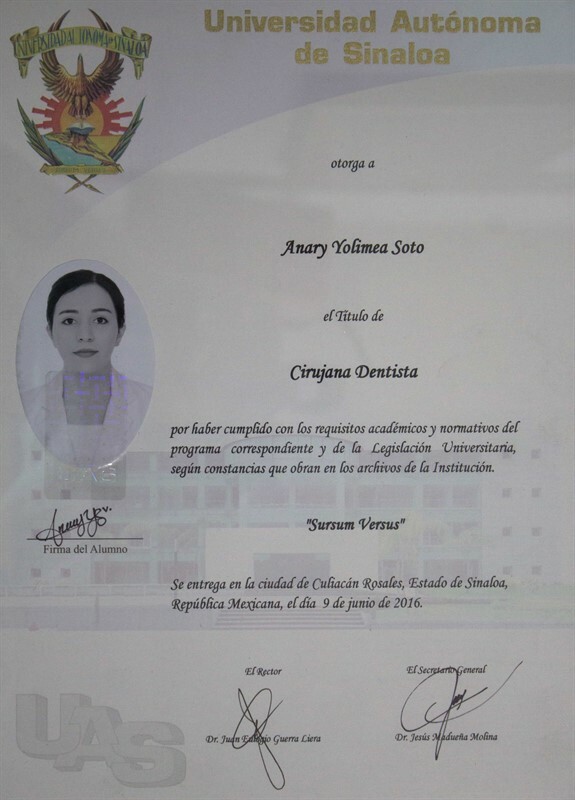 From 2010 to 2015 Dr. Anary formed part of the staff of El Vallado in the social service network of the city of Culiacan. She received her dental diploma in 2016. Her background includes 7 years of continuing education in the latest developments of dental health. There is a solution for every dental problem. Weather your needs are preventative, basic or surgical, we offer our patients solutions that best meet their those needs. Space limitations here on our website do not allow us to go into detail about all the services we offer which is why we suggest you call us. We’re always glad to answer questions on the phone prior to your visit. Border Dental’s comfortable waiting area includes a TV lounge with English and Español programs and two modern bathrooms. We also feature three working areas, completely equipped to offer you our personal attention.